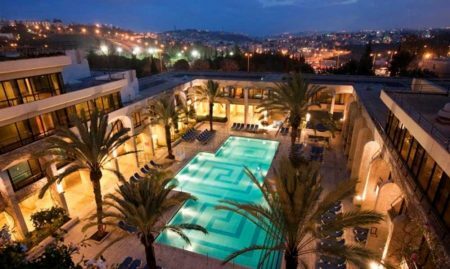 Nearly half a million people visit the City of David National Park every year, making this must-see attraction one of the most important and popular sites in Jerusalem. The City of David is an archaeological site that reveals the birth place of Jerusalem. The City of David gives its visitors a rare opportunity to experience ancient Jerusalem and watch ancient stories take shape and come to life before their eyes. The City of David is actually more ancient than the Old City of Jerusalem! 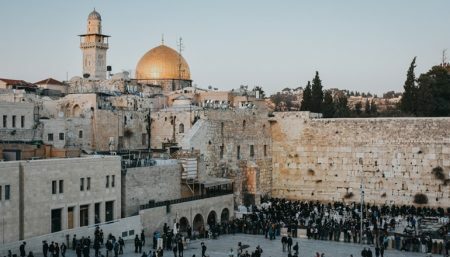 A two-minute walk from the Western Wall, the location of the ancient city in Biblical studies, makes the City of David the most important archaeological site in Israel. This site is the location of the largest number of archaeological expeditions! Excavations continue to take place with new and fascinating artifacts uncovered regularly. The City of David National Park Visitor Center offers a variety of attractions, tours, and surprises that you won’t find anywhere else in the world: a walking tour through an ancient underground water tunnel, an extraordinary archaeological experience at the sifting project in Emek Tzurim National Park, the nighttime presentation Halleluya which uses advanced projection technology to tell the ancient and riveting story of Jerusalem, guided Segway tours at the Peace Forest attractions complex, and fascinating tours of the “Petra of Jerusalem,” located at the foot of the monumental tombs of Kidron Valley. Ir David Foundation, also known as Elad, a Hebrew acronym meaning “to the city of David”, was founded in1986 with the purpose of strengthening the Jewish connection to Jerusalem. 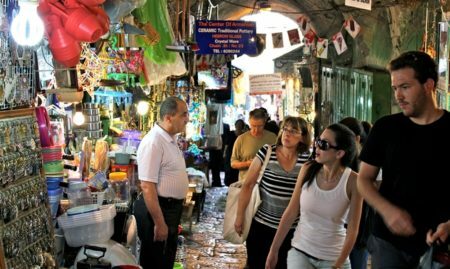 The foundation aims to establish and renew the Jewish community in the City of David, and does so through tourism, archeological excavations, education and research, and the purchasing of houses and land from the nearby Arab neighborhood – Silwan. In 1991, a new Jewish community has emerged in the City of David and as of today, there are approximately 30 Jewish families living side by side with the Arab families at the City of David. Really informative, historical and important to the nation and Biblical history. Wear good walking shoes and be prepared for dampness.